Hot on the heals of another blowout quarter from Apple, today, Apple launched their latest operating system, OS X Lion. With over 250 new features and a price-tag of just $29.99, it’s practically a no-brainer. With features like AirDrop, Mission Control along with new multi-touch gestures, Apple is certainly hitting its stride as far as innovating. For those of you looking to upgrade, I can caution that you need to be sure you’ve upgraded your software first — and have enough free space on your hard drive. 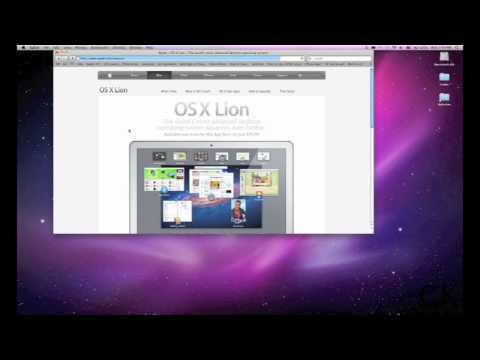 To help you get started, here’s a short video on how to install OS X Lion. If you’re ready to purchase Lion – minus the tutorial, click here. So what are you looking forward to most about this new operating system (if anything)? Leave a comment.